The policies below are applicable to China Global Television Network of websites, including www.cgtn.com (including any versions optimized for viewing on a wireless or tablet device); all email newsletters published or distributed by CGTN; all apps published by CGTN; and all other interactive features, services, and communications provided by CGTN (collectively “Sites”), however accessed and/or used, that are operated by us, made available by us, or produced and maintained by China Global Television Network (collectively “CGTN” or “we”, “us”, or “our”). In addition to the Content on the Sites, the Sites provide you with various opportunities to submit content and participate in various services (“Services”). BY USING OUR SITES AND THE SERVICES YOU ARE ACCEPTING THE PRACTICES DESCRIBED IN THESE TERMS AND CONDITIONS. IF YOU DO NOT AGREE TO THESE TERMS AND CONDITIONS, PLEASE DO NOT USE THE SITES AND EXIT IMMEDIATELY. WE RESERVE THE RIGHT TO MODIFY OR AMEND THESE TERMS AND CONDITIONS FROM TIME TO TIME WITHOUT NOTICE. YOUR CONTINUED USE OF OUR SITES AND ANY AFFILIATE SITES FOLLOWING THE POSTING OF CHANGES TO THESE TERMS WILL MEAN YOU ACCEPT THOSE CHANGES. UNLESS WE PROVIDE YOU WITH SPECIFIC NOTICE, NO CHANGES TO OUR TERMS AND CONDITIONS WILL APPLY RETROACTIVELY. This is a legal agreement between you (“you” or “user”) and CGTN that states the material terms and conditions that govern your use of the Sites. These Terms and Conditions, together with all updates, supplements, additional terms, and all of CGTN’s rules and policies collectively constitute these “Terms and Conditions” between you and CGTN.BY ACCESSING THE SITES, YOU AGREE TO BE LEGALLY BOUND BY THESE TERMS AND CONDITIONS. IF YOU DO NOT AGREE TO THESE TERMS AND CONDITIONS STATED HEREIN, PLEASE IMMEDIATELY LEAVE THIS SITE. 1. Site Access License. CGTN grants you a limited, revocable, non-exclusive, non-transferable license to access and make personal, non-commercial use of the Sites or their Content and not to modify all or any portion of the Sites or their Content. This license does not include any resale or commercial use of the Sites or their Content; any derivative use of the Sites or their Content; any downloading or copying of Content for the benefit of a third party; or any use of data mining, robots, or similar data gathering and extraction tools. The Sites and/or any portion of the Sites may not be reproduced, sold, resold, visited or otherwise exploited for any commercial purpose without CGTN’s prior express written consent. You will not frame or utilize framing techniques to enclose any trademark, logo or other proprietary information (including images, text, page layout or form) of CGTN, its content providers or its affiliates without CGTN’s prior express written consent. You will not use any meta tags or any other “hidden text” utilizing our name or trademarks without our prior express written consent. Additionally, you agree that you will not: (i) take any action that imposes, or may impose in our sole discretion an unreasonable or disproportionately large load on our infrastructure; (ii) interfere or attempt to interfere with the proper working of the site or any activities conducted on the Sites; or (iii) bypass any measures we may use to prevent or restrict access to the Sites. Any unauthorized use automatically terminates the permissions and/or licenses granted by us to you. 2. Copyright and Ownership. All of the content featured or displayed on the Sites, including without limitation text, graphics, photographs, images, moving images, sound, and illustrations (“Content”), are owned by CGTN, its licensors, vendors, agents and/or its Content providers. All elements of the Sites, including without limitation the general design and the Content, are protected by trade dress, copyright, moral rights, trademark and other laws relating to intellectual property rights. The Services and the Sites may only be used for the intended purpose for which such Sites and Services are being made available. Except as may be otherwise indicated in specific documents within the Sites or as permitted by any applicable local copyright laws, you are authorized to view, play, print and download copyrighted documents, audio and video found on our Sites for personal, informational, and noncommercial purposes only. Except as permitted by any applicable local copyright laws, you may not modify any of the materials and you may not copy, distribute, transmit, display, perform, reproduce, publish, license, create derivative works from, transfer or sell any Content, information or work contained on the Sites. Except as authorized under any applicable local copyright law, you are responsible for obtaining our prior written permission before reusing any copyrighted material that is available on the Sites. You shall comply with all applicable domestic and international laws, statutes, ordinances and regulations regarding your use of the Sites and Services. The Sites, its Content and all related rights shall remain the exclusive property of CGTN or its licensors unless otherwise expressly agreed. You will not remove any copyright, trademark or other proprietary notices from material found on these Sites. 3. Trademarks/No Endorsement. All trademarks, service marks and trade names of CGTN used herein (collectively “Marks”) are trademarks or registered trademarks of CGTN or its affiliates, partners, vendors or licensors. You may not use, copy, reproduce, republish, upload, post, transmit, distribute, or modify the Marks in any way, including in advertising or publicity pertaining to distribution of materials on the Sites, without CGTN’s prior written consent. The use of the Marks on any other web site or network computer environment is not allowed. CGTN prohibits the use of the Marks as a “hot” link on or to any other web site unless establishment of such a link is approved in advance. You shall not use CGTN’s name or any language, pictures or symbols which could, in CGTN’s judgment, imply CGTN’s endorsement in any (i) written or oral advertising or presentation, or (ii) brochure, newsletter, book, or other written material of whatever nature, without our prior written consent. 4. Account Registration and Security. You understand that you may need to create an account to have access to any and all of the parts of the Sites. In consideration of your use of the Sites, you will: (a) provide true, accurate, current and complete information about yourself and your business as prompted by the Sites’ registration or subscription page (if applicable) (such information being the “Registration Data”) and (b) maintain and promptly update the Registration Data to keep it true, accurate, current and complete. If you provide any information that is untrue, inaccurate, not current or incomplete, or CGTN has reasonable grounds to suspect that such information is untrue, inaccurate, not current or incomplete, CGTN has the right to suspend or terminate your account and refuse any and all current or future use of the Sites (or any portion thereof). You are entirely responsible for the security and confidentiality of your password and account. Furthermore, you are entirely responsible for any and all activities that occur under your account. You will not share your account information or your user name and password with any third party or permit any third party to logon to the Sites using your account information. You agree to immediately notify us of any unauthorized use of your account or any other breach of security of which you become aware. You are responsible for taking precautions and providing security measures best suited for your situation and intended use of the Services and Sites. We have the right to provide user, account, Content or use records, and related information under certain circumstances (such as in response to legal responsibility, lawful process, orders, subpoenas, or warrants, or to protect our rights, customers or business). Please note that anyone able to provide your personally identifiable information will be able to access your account so you should take reasonable steps to protect this information. 5. Solicited Submission Policy. Where CGTN has specifically invited or requested submissions, CGTN encourages members of the public to submit user published content or user content (e.g. comments to stories, etc.) to CGTN that they have created for consideration in connection with the Site and any related television programs and wireless and online broadcasts (“User Submissions”). User Submissions remains the intellectual property of the individual user. By posting content on our Site, you expressly grant CGTN a non-exclusive, perpetual, irrevocable, royalty-free, fully paid-up worldwide, fully sub-licensable right to use, reproduce, modify, adapt, publish, translate, create derivative works from, distribute, transmit, perform and display such content and your name, voice, and/or likeness as contained in your User Submission, in whole or in part, and in any form throughout the world in any media or technology, whether now known or hereafter discovered, including all promotion, advertising, marketing, merchandising, publicity and any other ancillary uses thereof, and including the unfettered right to sublicense such rights, in perpetuity throughout the universe. ANY SUCH USER SUBMISSIONS ARE DEEMED NON-CONFIDENTIAL AND CGTN SHALL BE UNDER NO OBLIGATION TO MAINTAIN THE CONFIDENTIALITY OF ANY INFORMATION, IN WHATEVER FORM, CONTAINED IN ANY USER SUBMISSION. 6. Inappropriate User Submissions. CGTN does not encourage, solicit, and does not seek User Submissions that result from any activity that: (i) may create a risk of harm, loss, physical or mental injury, emotional distress, death, disability, disfigurement, or physical or mental illness to you, to any other person, or to any animal; (ii) may create a risk of any other loss or damage to any person or property; or (iii) may constitute a crime or tort. You agree that you have not and will not engage or solicit in any of the foregoing activities in connection with producing your User Submission. Without limiting the foregoing, you agree that in conjunction with your User Submission, you will not inflict emotional distress on other people, will not humiliate other people (publicly or otherwise), will not assault or threaten other people, will not enter onto private property without permission, will not impersonate any other person or misrepresent your affiliation, title, or authority, and will not otherwise engage in any activity that may result in injury, death, property damage, and/or liability of any kind. CGTN will reject any submissions in which CGTN believes, in its sole discretion, that any such activities have occurred. If notified by a user of a submission that allegedly violates any provision of this Terms and Conditions, CGTN reserves the right to determine, in its sole discretion, if such a violation has occurred, and to remove any such submission from the Site at any time and without notice. 7. User Published Content. USER PUBLISHED CONTENT DOES NOT REPRESENT THE VIEWS OF CGTN OR ANY INDIVIDUAL ASSOCIATED WITH CGTN, AND WE DO NOT CONTROL THIS CONTENT. In no event shall you represent or suggest, directly or indirectly, CGTN’s endorsement of user published Content. CGTN does not vouch for the accuracy or credibility of any user published Content on our Sites, and does not take any responsibility or assume any liability for any actions you may take as a result of reading user published Content on our Sites. Through your use of the Sites and Services, you may be exposed to Content that you may find offensive, objectionable, harmful, inaccurate or deceptive. There may also be risks of dealing with underage persons, people acting under false pretense, international trade issues and foreign nationals.BY USING OUR SITES, YOU ASSUME ALL ASSOCIATED RISKS. 8. Linking to the Sites. Creating or maintaining any link from another web site to any page on the Sites without our prior written permission is prohibited. Running or displaying the Sites or any information or material displayed on the Sites in frames or through similar means on another web site without our prior written permission is prohibited. Any permitted links to the Sites must comply will all applicable laws, rule and regulations. 9. Third Party Links. From time to time, the Sites may contain links to web sites that are not owned, operated or controlled by CGTN or its affiliates. All such links are provided solely as a convenience to you. If you use these links, you will leave the Sites. Neither we nor any of our respective affiliates are responsible for any content, materials or other information located on or accessible from any other web site. Neither we nor any of our respective affiliates endorse, guarantee, or make any representations or warranties regarding any other web sites, or any content, materials or other information located or accessible from any other web sites, or the results that you may obtain from using any other web sites. If you decide to access any other web sites linked to or from this Sites, you do so entirely at your own risk. 11. Territory. CGTN makes no promise that the Content or Services available on the Sites are appropriate or available for use in locations outside the People’s Republic of China (“Territory”), and accessing the Sites from territories where its Contents are illegal or unlawful is prohibited. If you choose to access this Site from locations outside the Territory, you do so at your own risk. It is your responsibility to ascertain and obey all applicable local and international laws in regard to the Content and Services available on the Sites. 15. Representations and Warranties. You represent that you are over the age of 18, have the right and authority to enter into these Terms and Conditions, are fully able and competent to satisfy the terms, conditions, and obligations herein, and your use of the Sites and Services is and will be in compliance with all applicable laws. Furthermore, you shall be solely responsible for your own User Submissions and the consequences of posting or publishing them. In connection with User Submissions, you affirm, represent and warrant the following: (i) you have obtained all consents, and possess all copyright, patent, trademark, trade secret and any other proprietary rights, or the necessary licenses thereto, to grant the license in Section 5; (ii) if necessary you have the written consent of each and every identifiable natural person in the User Submission to use such persons name or likeness in the manner contemplated by the Sites and these Terms and Conditions, and each such person has released you from any liability that may arise in relation to such use; (iii) you have read, understood, agree with, and will abide by the terms of these Terms and Conditions; (iv) you are not, and have not been an agent of CGTN and were not and are not acting on behalf of, or as a representative of, CGTN or any other party in connection with the User Submission; (v) the User Submission and CGTN’s use thereof as contemplated by these Terms and Conditions and the Sites will not infringe any rights of any third party, including but not limited to any intellectual property rights, privacy rights and rights of publicity; (vi) you are not, nor is any other person who appears in your User Submission, a current member of the Screen Actors Guild (SAG), the American Federation of Television and Radio Actors (AFTRA) or any other rights society; (vii) you have not and will not engage in any of the following in connection with the production of, your appearance in, or contribution(s) to your User Submission: infliction of injury to any person or animal, humiliation of any person (whether public or private), infliction of emotional distress on any person, assault or battery of any person, damage to any property without permission, entry on any property without permission, or any other act or omission that could give rise to civil and/or criminal liability; (viii) The User Submission does not contain: (a) material falsehoods or misrepresentations that could harm CGTN or any third party; (b) content that is unlawful, obscene, defamatory, libelous, threatening, pornographic, harassing or encourages conduct that would be considered a criminal offense, give rise to civil liability or violate any law; (c) advertisements or solicitations of business; or (d) impersonations of third parties, other than those which are readily apparent. 16. DISCLAIMERS. Your use of the Sites is at your risk. THE INFORMATION, MATERIALS, CONTENT, AND SERVICES PROVIDED ON OR THROUGH THE SITES ARE PROVIDED “AS IS” WITHOUT ANY WARRANTIES OF ANY KIND INCLUDING WARRANTIES OF MERCHANTABILITY, FITNESS FOR A PARTICULAR PURPOSE, SECURITY OR NON-INFRINGEMENT OF INTELLECTUAL PROPERTY. NEITHER CGTN, NOR ANY OF ITS AFFILIATES WARRANT THE ACCURACY OR COMPLETENESS OF THE INFORMATION, MATERIALS, CONTENT OR SERVICES PROVIDED ON OR THROUGH THE SITES. THE INFORMATION, MATERIALS, CONTENT AND SERVICES PROVIDED ON OR THROUGH THE SITES MAY BE OUT OF DATE, AND NEITHER THE CGTN, NOR ANY OF ITS AFFILIATES MAKES ANY COMMITMENT OR ASSUMES ANY DUTY TO UPDATE SUCH INFORMATION, MATERIALS, CONTENT, OR SERVICES. THE FOREGOING EXCLUSIONS OF IMPLIED WARRANTIES DO NOT APPLY TO THE EXTENT PROHIBITED BY LAW. PLEASE REFER TO YOUR LOCAL LAWS FOR ANY SUCH PROHIBITIONS. NO ADVICE OR INFORMATION, WHETHER ORAL OR WRITTEN, OBTAINED FROM CGTN OR THROUGH THE SITES, CONTENT AND SERVICES WILL CREATE ANY WARRANTY NOT EXPRESSLY MADE HEREIN. 17. LIMITATIONS OF LIABILITY. CGTN does not assume any responsibility, or will be liable, for any damages to, or any viruses that may infect your computer, telecommunication equipment, or other property caused by or arising from your access to, use of, or browsing the Sites, or your downloading of any information or materials from the Sites.IN NO EVENT WILL CGTN, OR ANY OF ITS OFFICERS, DIRECTORS, EMPLOYEES, SHAREHOLDERS, AFFILIATES, AGENTS, SUCCESSORS OR ASSIGNS, NOR ANY PARTY INVOLVED IN THE CREATION, PRODUCTION OR TRANSMISSION OF THE SITES, BE LIABLE TO YOU OR ANYONE ELSE FOR ANY INDIRECT, SPECIAL, PUNITIVE, INCIDENTAL OR CONSEQUENTIAL DAMAGES (INCLUDING, WITHOUT LIMITATION, THOSE RESULTING FROM LOST PROFITS, LOST DATA OR BUSINESS INTERRUPTION) ARISING OUT OF THE USE, INABILITY TO USE, OR THE RESULTS OF USE OF THE SITES, ANY SITES LINKED TO THE SITES, OR THE MATERIALS, INFORMATION, CONTENT, OR SERVICES CONTAINED ON ANY OR ALL SUCH SITES, WHETHER BASED ON WARRANTY, CONTRACT, TORT OR ANY OTHER LEGAL THEORY AND WHETHER OR NOT ADVISED OF THE POSSIBILITY OF SUCH DAMAGES. YOU SPECIFICALLY ACKNOWLEDGE THAT CGTN SHALL NOT BE LIABLE FOR USER SUBMISSIONS OR THE DEFAMATORY, OFFENSIVE, OR ILLEGAL CONDUCT OF ANY THIRD PARTY, AND THAT THE RISK OF HARM OR DAMAGE FROM THE FOREGOING RESTS ENTIRELY WITH YOU. THE FOREGOING LIMITATIONS OF LIABILITY DO NOT APPLY TO THE EXTENT PROHIBITED BY LAW. PLEASE REFER TO YOUR LOCAL LAWS FOR ANY SUCH PROHIBITIONS. IN THE EVENT OF ANY PROBLEM WITH THE SITES OR ANY CONTENT, YOU AGREE THAT YOUR SOLE REMEDY IS TO CEASE USING THE SITES. IN NO EVENT SHALL CGTN’S TOTAL LIABILITY TO YOU FOR ALL DAMAGES, LOSSES, AND CAUSES OF ACTION WHETHER IN CONTRACT, TORT (INCLUDING, BUT NOT LIMITED TO, NEGLIGENCE), OR OTHERWISE EXCEED TWENTY FIVE DOLLARS (US $25.00). 18. Indemnity. You agree to defend, indemnify and hold CGTN and any affiliated company or individual harmless from any and all liabilities, costs, and expenses, including reasonable attorneys’ fees, related to or in connection with (i) the use of the Sites or the Internet or your placement or transmission of any message or information on the Sites by you or your authorized users; (ii) your violation of any term of these Terms and Conditions, including without limitation, your breach of any of the representations and warranties above; (iii) your violation of any third party right, including without limitation any right of privacy, publicity rights or intellectual property rights; (iv) your violation of any law, rule or regulation of the People’s Republic of China or any other country; (v) any claim or damages that arise as a result of any User Submission that you provide to CGTN; or (vi) any other party’s access and use of the Sites with your unique username, password or other appropriate security code. 19. Release. IN THE EVENT THAT YOU HAVE A DISPUTE WITH ONE OR MORE OTHER USERS OF THE SITES, YOU RELEASE CGTN (AND OUR OFFICERS, DIRECTORS, AGENTS, SUBSIDIARIES, JOINT VENTURES AND EMPLOYEES) FROM CLAIMS, DEMANDS AND DAMAGES (ACTUAL AND CONSEQUENTIAL) OF EVERY KIND AND NATURE, KNOWN AND UNKNOWN, SUSPECTED AND UNSUSPECTED, DISCLOSED AND UNDISCLOSED, ARISING OUT OF OR IN ANY WAY CONNECTED WITH SUCH DISPUTES. 20. Termination. We may suspend or terminate your account or your use of the Sites at any time, for any reason or for no reason. You are personally liable for any orders placed or charges incurred through your account prior to termination. We may also block your access to our Sites in the event that (a) you breach these Terms and Conditions; (b) we are unable to verify or authenticate any information you provide to us; or (c) we believe that your actions may cause financial loss or legal liability for you, our users or us. 21. Force Majeure. Neither CGTN nor you shall be responsible for damages or for delays or failures in performance resulting from acts or occurrences beyond their reasonable control, including, without limitation: fire, lightning, explosion, power surge or failure, water, war, revolution, civil commotion or acts of civil or military authorities or public enemies: any law, order, regulation, ordinance, or requirement of any government or legal body or any representative of any such government or legal body; or labor unrest, including without limitation, strikes, slowdowns, picketing, or boycotts; inability to secure raw materials, transportation facilities, fuel or energy shortages, or acts or omissions of other common carriers. 23. General. Any claim relating to, and the use of, the Sites and the Content is governed by the laws of the People’s Republic of China. You consent to the exclusive jurisdiction of the people’s courts located in Beijing, China. A printed version of these Terms and Conditions will be admissible in judicial and administrative proceedings based upon or relating to these Terms and Conditions to the same extent and subject to the same conditions as other business documents and records originally generated and maintained in printed form. We do not guarantee continuous, uninterrupted or secure access to the Sites or Services, and operation of the Sites may be interfered with by numerous factors outside of our control. If any provision of these Terms and Conditions is held to be invalid or unenforceable, such provision shall be struck and the remaining provisions shall be enforced. You agree that these Terms and Conditions and all incorporated agreements may be automatically assigned by CGTN in our sole discretion. Headings are for reference purposes only and in no way define, limit, construe or describe the scope or extent of such section. Our failure to act with respect to a breach by you or others does not waive our right to act with respect to subsequent or similar breaches. These Terms and Conditions set forth the entire understanding and agreement between us with respect to the subject matter hereof. Sections 5 (Solicited Submission Policy), 13 (Access and Interference), 15 (Representations and Warranties), 16(Disclaimers), 17(Limitations of Liability), 18 (Indemnity), 19 (Release), and 23 (General) shall survive any termination or expiration of these Terms and Conditions. 24. Copyright Law of the People’s Republic of China (The Copyright Law). In operating the Sites, we may act as a “services provider” and offer services as online provider of materials and links to third party web sites. As a result, third party materials that we do not own or control may be transmitted, stored, accessed or otherwise made available using the Sites. CGTN has in place certain legally mandated procedures regarding allegations of copyright infringement occurring on the Sites. 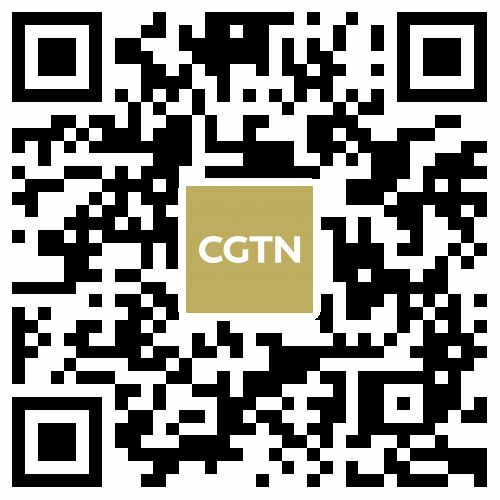 CGTN has adopted a policy that provides for the immediate removal of any content or the suspension of any user that is found to have infringed on the rights of CGTN or of a third party, or that has otherwise violated any intellectual property laws or regulations, or any of the terms and conditions of these Terms of Conditions. If you believe any material available via the Sites infringes a copyright, you should notify us using the notice procedure for claimed infringement under The Copyright Law. We will respond expeditiously to remove or disable access to the material claimed to be infringing and will follow the procedures specified in The Copyright Law to resolve the claim between the notifying party and the alleged infringer who provided the Content. Our designated agent (i.e., proper party for notice) to whom you should address infringement notices under The Copyright Law is info@cgtn.com. 4. Your name, physical address and telephone number, and a statement that you consent to the jurisdiction of a People’s Court in Beijing for the judicial district in which your physical address is located, or if your physical address is outside of the People’s Republic of China, for any judicial district in which we may be found, and that you will accept service of process from the person who provided notification of allegedly infringing material or an agent of such person. 25. Entire Agreement. The Terms and Conditions are the entire agreement between the user and CGTN and supersede any prior understandings or agreements (written or oral). 26. Additional Assistance. If you do not understand any of the foregoing Terms and Conditions or if you have any questions or comments, we invite you to contact our Customer Service Department by email at info@cgtn.com . 27. Copyright Notice. All Site design, graphics, text selections, arrangements, and all software are Copyright © 2018, CGTN or its licensors. ALL RIGHTS RESERVED.